If you would like a copy posted to you please contact us at Trendlesproject@gmail.com. An additional charge of £1 will be made to cover postage. Eleven seasons of excavation at Trendles Field and the Noah’s Ark Inn, Marcham produced a wealth of artefacts and resulted in thousands of written records. 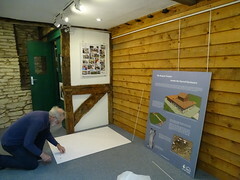 Thanks to a 3-year National Lottery Heritage Grant, people from Marcham and the surrounding villages participated in a crucial stage of the post-excavation process. 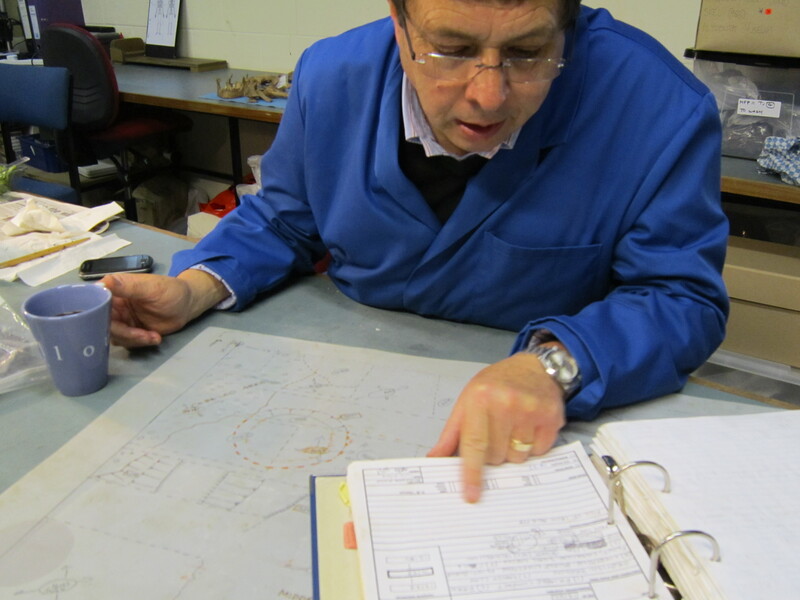 The Trendles Project allowed local people and archaeologists to work together in the identification and analysis of finds from the excavation and the interpretation of the records, which will contribute to a major archaeological publication. 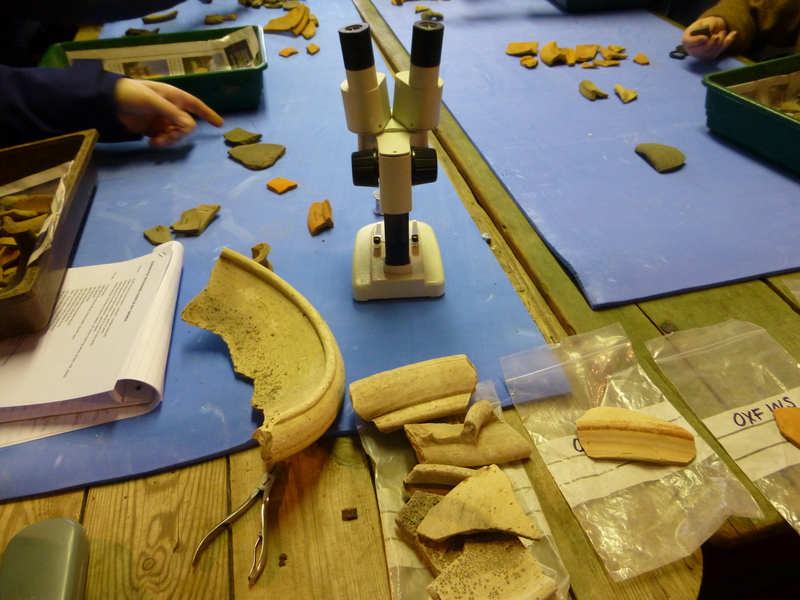 Taught by professional archaeologists, volunteers developed the skills needed to identify the many different types of Roman and Iron Age pottery fragments recovered during the excavation, to understand the type of vessels they came from, and where and how they were made. Animal bone was identified to species and bone type. Evidence for butchery and any pathologies was also noted. Many were domestic animals such as sheep, pig and cattle, a small number were wild animals, hunted to supplement the diet, others were the small mammals, birds and amphibians that lived around the site. A few from the Iron Age pits were special deposits, others the remains of animals sacrificed to the gods of the temple. 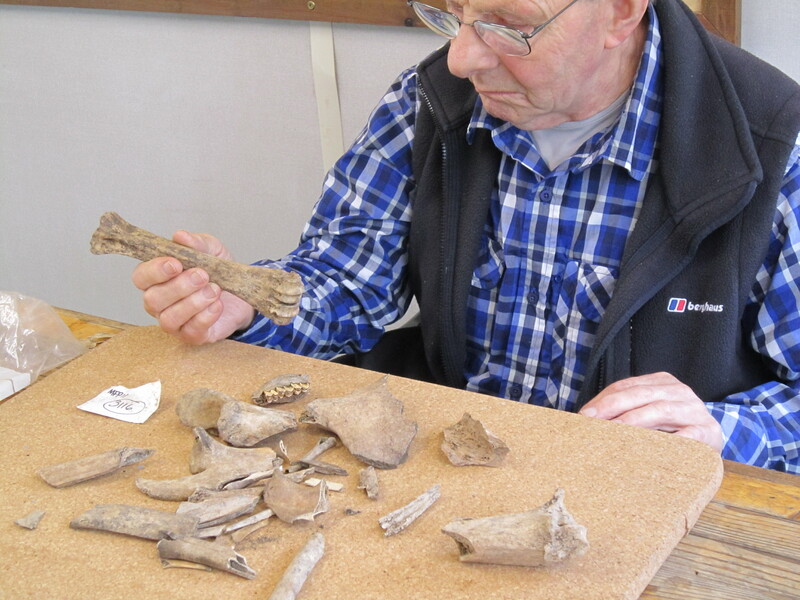 Using the thousands of written, drawn and photographic records created during the excavations we began to work down through the archaeological layers of the site and together with the pottery and animal bone, pieced together long-forgotten events.